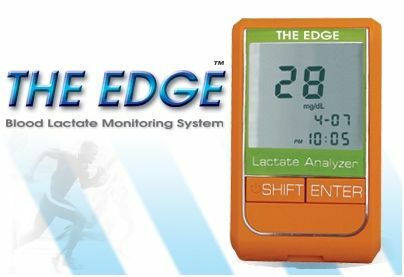 The EDGE is a lactate monitor using a biosensor. The EDGE has a memory for 300 tests with date and time that can be downlaoded to PC with the optional software. The EDGE is quick, precise and reliable and helps in optimizing a training schedule.